Our latest Adobe tutorial round up showcases several of the latest Photoshop and Illustrator tutorials from the best design tutorial sites. You will learn how to design soft stylized 3D type, how to quickly pick complementary colors, how to make a map in Illustrator, how to create an interstate road sign and how draw a vector home cinema. This Adobe tutorial will teach you how to create 3D type in Illustrator and then bring it into Photoshop to stylize it and give it a soft and squishy 3D appearance. Discover an easy way to pick a complementary color of the current fill or stroke in the color panel of Adobe Illustrator. 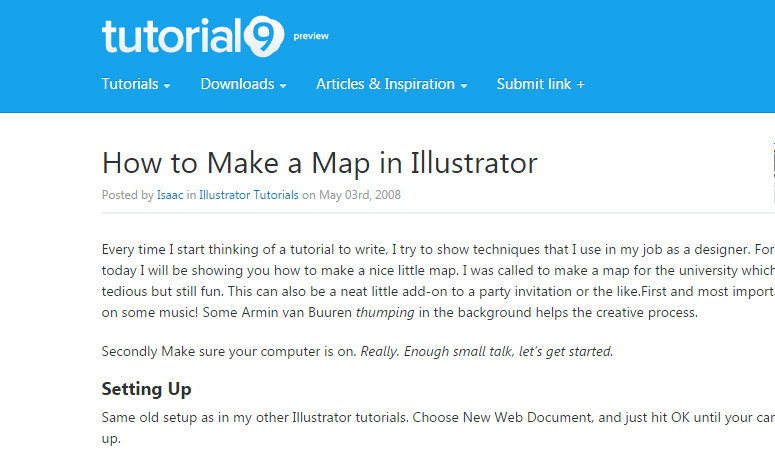 This tutorial teaches you how to create a vector map and a legend for your map using Adobe Illustrator and a simple photo. Learn the tricks behind creating a realistic highway sign and post using custom shapes, selections, layer styles and gradients. Read up designing a cool vector home theater system using basic vector shapes and perspective.